Clean Drinking Water for Canada’s First Nations: What Will it Really Take? More than six million Canadians get their drinking water from within what are considered small water systems, i.e., those with relatively few tap hookups (often described as less than 500) compared with larger municipalities. They come in many forms – small towns, rural townships, trailer parks, island populations and First Nations communities. Despite Canada’s prosperity, high standard of living and wealth of natural resources such as water, many of these citizens face daily risk of illness from untreated drinking water. It’s a problem that the communities that make up our 634 First Nations face disproportionately versus the rest of the country, and even among small systems as a whole. 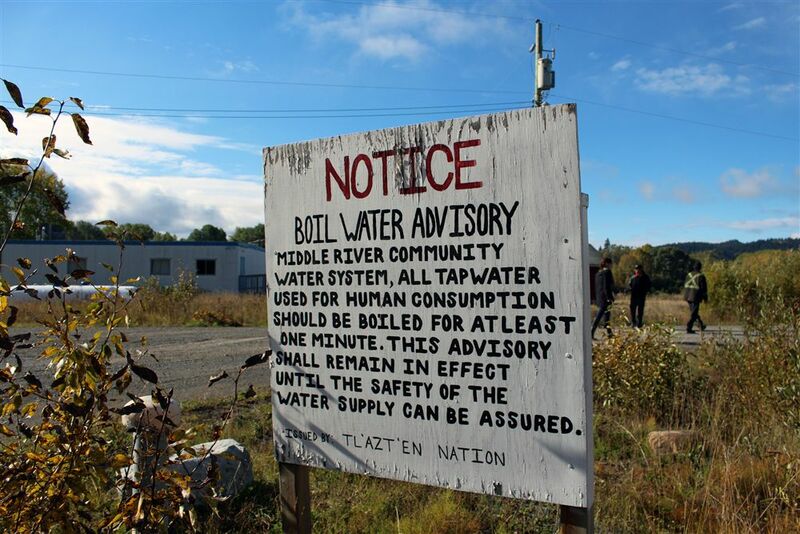 That 20% of First Nations communities routinely have boil water advisories in place is the unfortunate status quo for Canada; some have been in place for decades. During the 2015 election, Prime Minister Justin Trudeau and the Liberals vowed to correct this social and cultural injustice within five years of taking office. However, even with the political will and the funding in place, providing clean drinking water in First Nations communities will take more than a tidal wave of good intentions. When it comes to providing clean drinking water, First Nations face unique obstacles. Their remote location makes it difficult to supply existing purification systems with needed chemicals and replacement parts. Attracting and retaining skilled operators to maintain, operate and monitor equipment is a particular challenge. The pay is low, and operators tell us time and again how their job is undervalued in their communities and that they do not receive the respect they deserve. Local geography and land use patterns affect the quality of water sources dramatically, meaning a one-size-fits-all technological solution will not be the answer. "That 20% of First Nations communities routinely have boil water advisories in place is the unfortunate status quo for Canada; some have been in place for decades." The challenge of leveling the playing field for First Nations is complex. Solutions will only be had when Canada acknowledges and engages each community to define its unique challenges as well as a clear definition of what success will look like on their terms. Innovation through R&D efforts is also required, so that robust and user-friendly technologies are readily available and do not entail a high degree of technical sophistication to operate and maintain. In our experience working with these communities over the past seven years (via funding from the Natural Sciences and Engineering Research Council of Canada), we have come to keenly understand that different stakeholders can have vastly different viewpoints on the value that a certain “solution” brings to the table. What the federal or provincial government sees as a win may not be what the community feels is right. Based on a detailed analysis of the collaborations among technology suppliers, consulting/engineering firms, government agencies and universities linked with a number of small water systems in Canada and the U.S., we have identified the characteristics that favour innovation, and in turn what produces a positive outcome. We have learned that a community’s unique culture plays a crucial role in success. This represents a clear challenge to the prevailing belief in both industry and government that economies of scale will be achieved through the consolidation of small community systems into larger, centralized systems. Critical to the success of any solution is recognizing how to create an inclusive and proactive space where feedback and deeper levels of dialogue with communities can be achieved. For example, in meeting with First Nations community members and listening to Elders, we have explored how the history of the Residential Schools and how the past experience of such imposed “solutions” to community problems has created a climate of distrust, thereby necessitating a deeper and more proactive exchange of knowledge and perspective from both sides. Developing this level of knowledge and sensitivity to the unique aspects of each community’s history, as well as an understanding of how they relate to challenges in water system upgrade or replacement projects, will be critical to any new national campaign to improve access to clean drinking water in our First Nations communities.